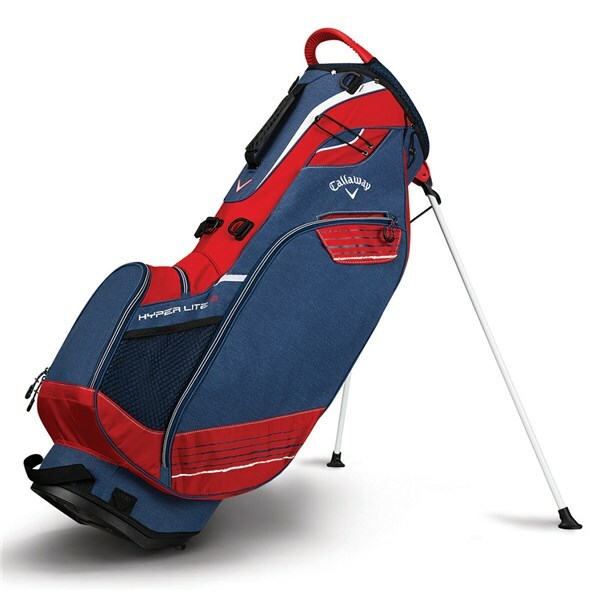 The Callaway Hyper Lite 3 stand bag delivers a full-size stand bag with a lightweight construction that will make carrying much more pleasant. 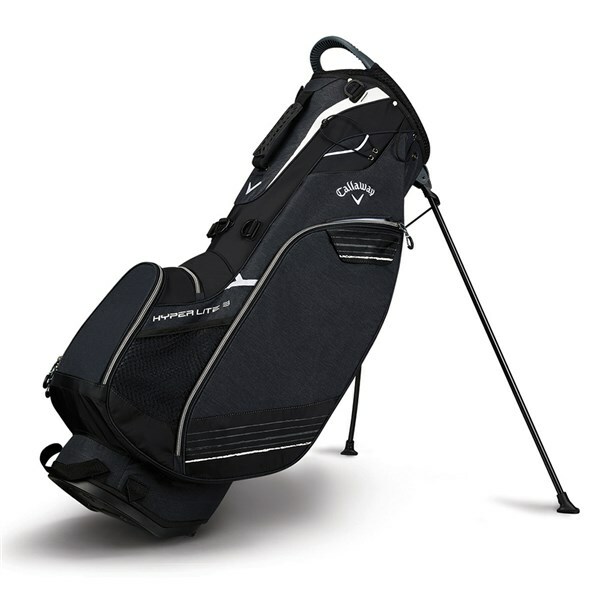 Callaway created the Hyper Lite 3 stand bag from a durable, yet lightweight fabric that weighs only 4.6lbs empty. 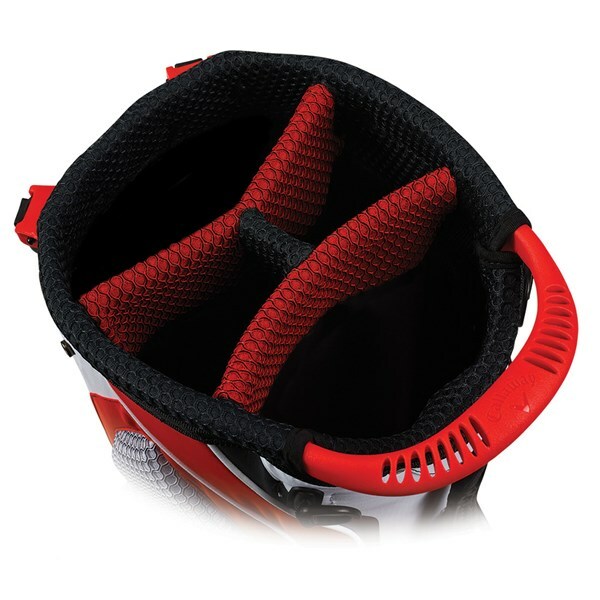 A full-size top design featuring a 4-way, full-length divider system provides ample room for a full set of clubs. 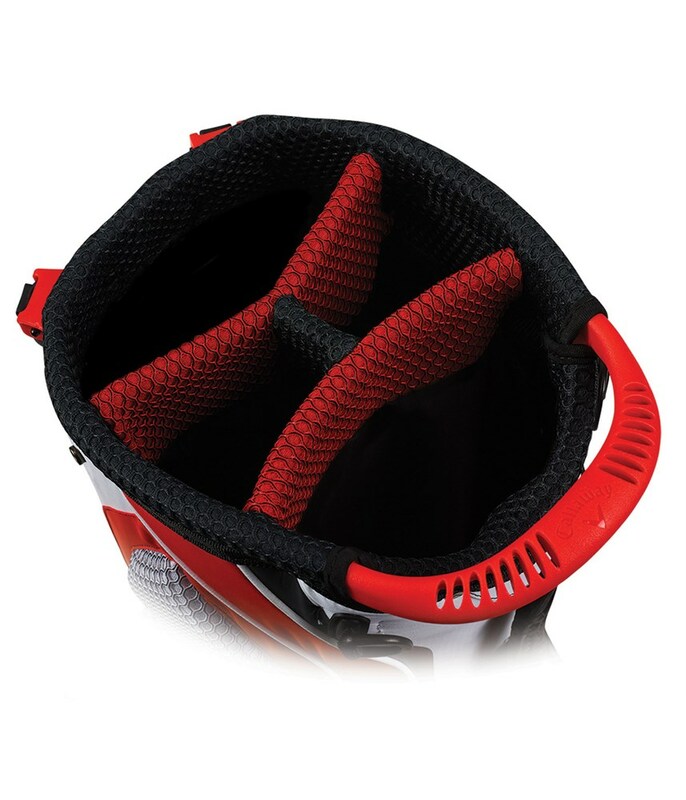 The top includes a mould grab handle that makes lifting and lowering more comfortable. 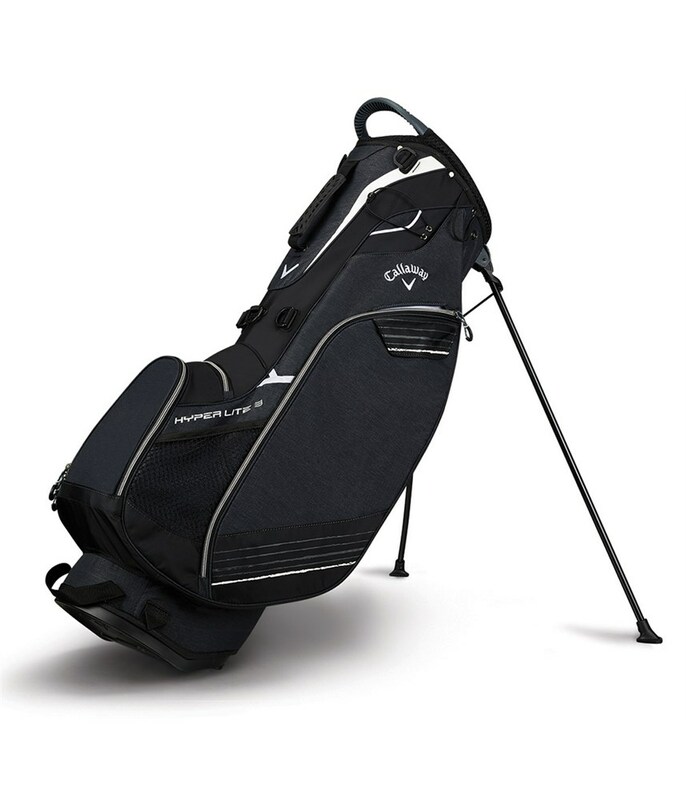 The multiple pocket design of the Hyper Lite 3 stand bag offers ample room for all the essentials you need to carry around for 18 holes. 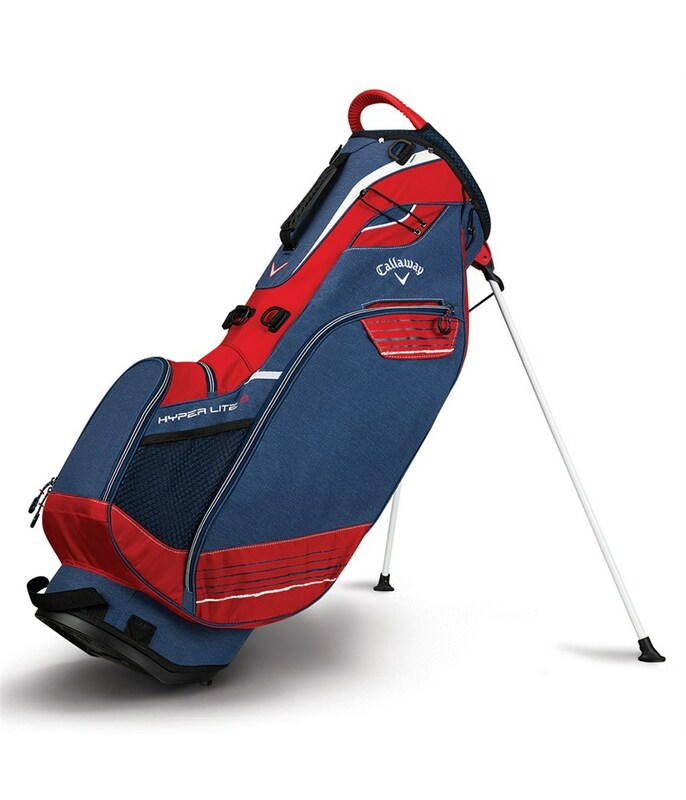 In fact, there is 17% more storage space on the 2018 golf bag than the previous model. 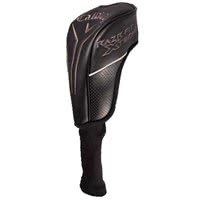 Callaway have used the self-balancing X-Act Fit strap system to enhance carrying comfort and a lightweight top mounted stand system that adds extra stability on all surfaces.